Newfoundland has a rich natural history and cultural heritage. It is important to find creative, informative ways to educate people about the natural world and history that surrounds us wherever they travel in this wonderful place. Bird⋅The⋅Rock is pleased to offer natural history & heritage interpretation services — planning, research, design and consultation. 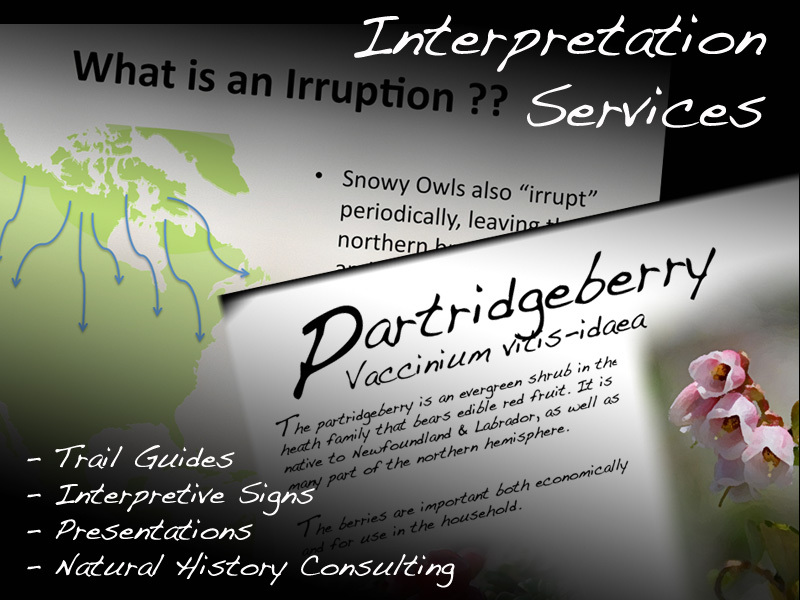 From historical sites to walking trails and educational brochures to presentations & exhibits; we can help at any stage of the interpretation process or help take your project from start to finish. Contact Bird⋅The⋅Rock for more information or to discuss your project now.